I’m amazed, I was thinking that your churches theories on global warming were just a bit off. I was using Google Trends and I came up with a startling chart. As you will notice, when I compared ‘free movies’ and ‘global warming’ whenever people search for free movies, less people search for global warming. Why you ask… Because no new developments come up while piracy occurs. When Koji sent me this, even I was skeptical. But it’s legit: try it yourself. 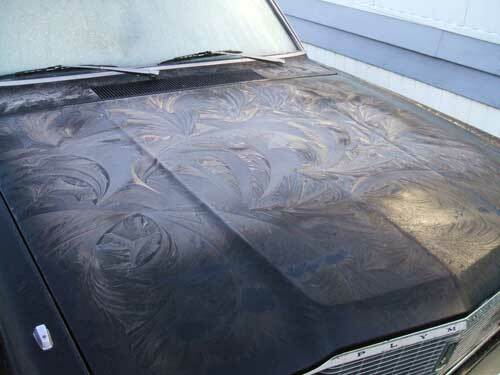 Peter sent me these pictures of his friend’s Plymouth Valiant – with the Flying Spaghetti Monster clearly visible in frost. Pastafarian Nick brought this to my attention. 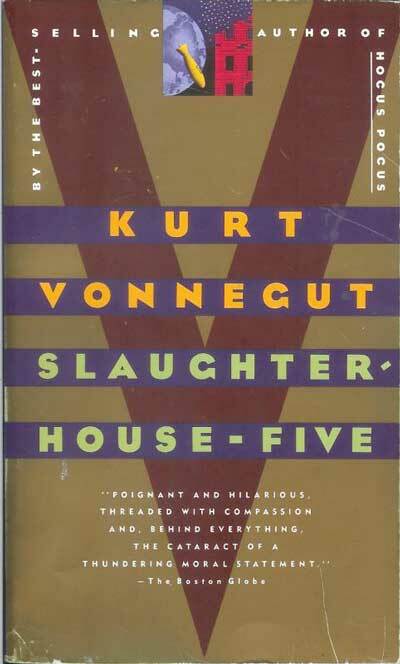 I believe he’s the first to discover this hidden message in Kurt Vonnegut’s classic novel Slaughterhouse-Five. First, a short description of the plot, courtesy of wikipedia: Slaughterhouse-Five spans the life of a man who has become unstuck in time. It is the story of Billy Pilgrim experiencing different time periods of his life, most notably his experience in World War II and his relationship with his family. The book is a series of seemingly random happenings that, in combination, present the thematic elements of the novel in an unraveling order. Billy is kidnapped by aliens from the planet Tralfamadore, who exhibit him in a zoo along with a pornographic movie star. Tralfamadorians see in four dimensions, meaning they see time as well. They have therefore seen every moment of their lives already. The heavens are filled with rarefied, luminous spaghetti. Clearly, Vonnegut was a Pastafarian. I’ve left the comments open on this post – I hope to hear some alternative interpretations of Vonnegut’s “luminous spaghetti” phrophecy. What do you think? 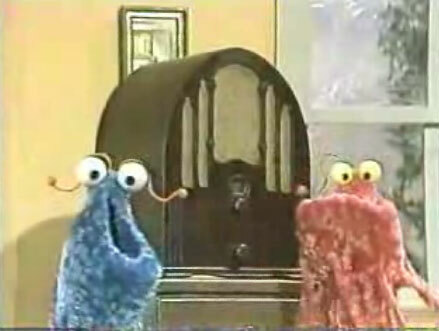 Yip-Yips – evidence of FSM? For the first time in my life, I am truly awake and can see the light. His Noodly Appendage has touched my soul and I am now resplendent in my pirate outfit, spreading the good word every Friday, Yarrrrr. I now have an insatiable thirst for FSM truth and knowledge and have embarked on a quest to find further proof of His existence so that the one true faith can spread throughout the world. Whilst searching online archives of the vaguest connection, I stumbled upon this primitive record, which I believe offers irrefutable proof not only of His existence, but that he may have sent little Noodly Angels to our world to spread his saucy love. It may also prove that HE may have visited himself in vaguely disguised form, or it shows a holy “duality” – the father and son. Perhaps it is the sons of FSM sent to live among us and save us from damnation. Only your wisdom can discern the truth. Given the gravity of this discovery, I knew I should take this to the highest echelons of the church so this knowledge could be protected or disseminated before Dan Brown or some-other heretic tried to debunk it with their satanic, pasta-hating meddlings. FSM sighting in Tibet – what does it mean? 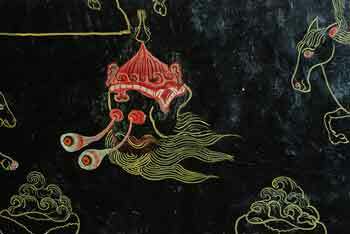 The following is a picture which appears on a wall in the Deprung Monastery just outside of Lhasa, Tibet Autonomous Region, P.R.C. 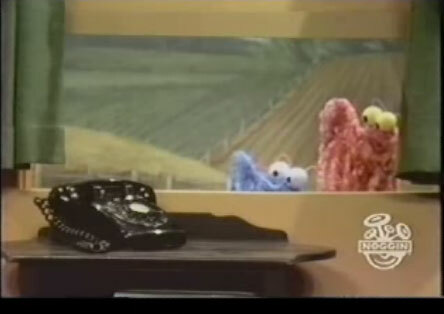 I think even nonBelievers will admit there is a startling resemblance to the FSM. I think we need further information on the painting’s history before we can determine what it means. Clearly the Tibetans knew something. 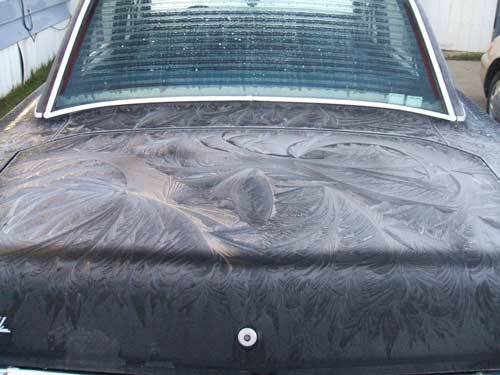 Thanks to nbpt for providing this picture. 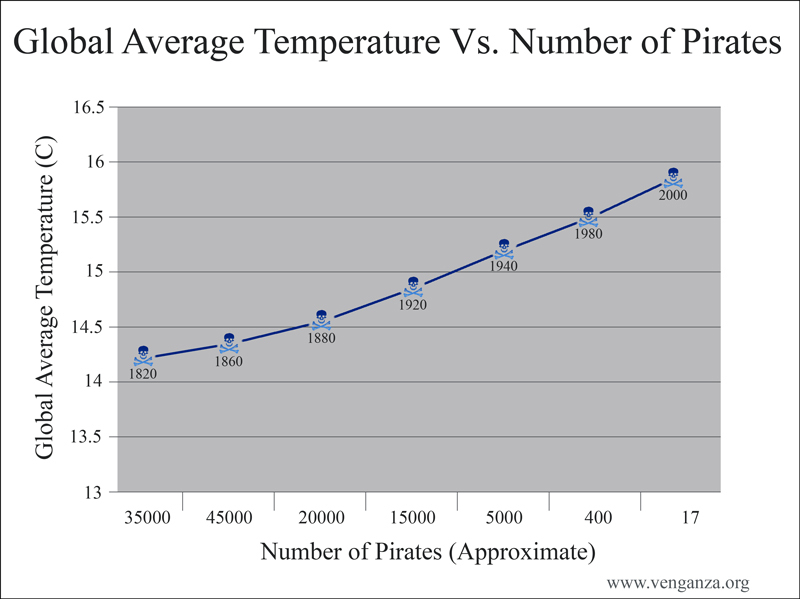 I made a newer, shinier, Temperature Vs. Pirates chart. It’s being printed in the college text “The Presence of Others“. During the course of my research into condensed stages of DNA my colleague and I came upon this paper.Â “Nanoscopic structure of DNA condensed for gene delivery”, Dunlap et al, Nucleic Acids Research, (1997), Vol 25, No. 15, Pgs 3095-3101. Please examine Figure 2c, and be enlightened. 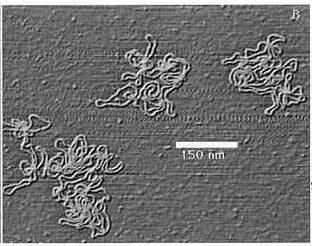 In fact DNA seems to naturally condense into nano-toroids reminiscent of his Noodliness.Â Since DNA is the precursor for all life, and His image is seen in DNA, then we must assume that The Most High Pasta is in us all. May his appendages be ever moist. 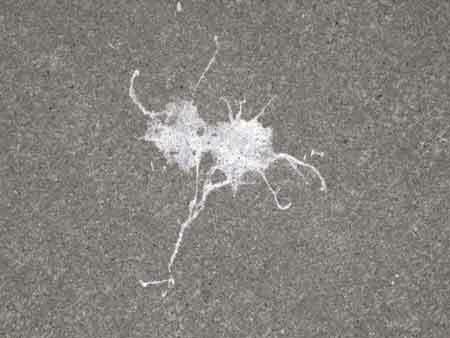 I found yet more evidence ofÂ the FSM’s existence. I know there is plenty, but sadly the unbelievers keep refusing to see the truth. So here is my contribution. It was just over my head as I was shoveling snow a few days ago. I had to take a few photos. 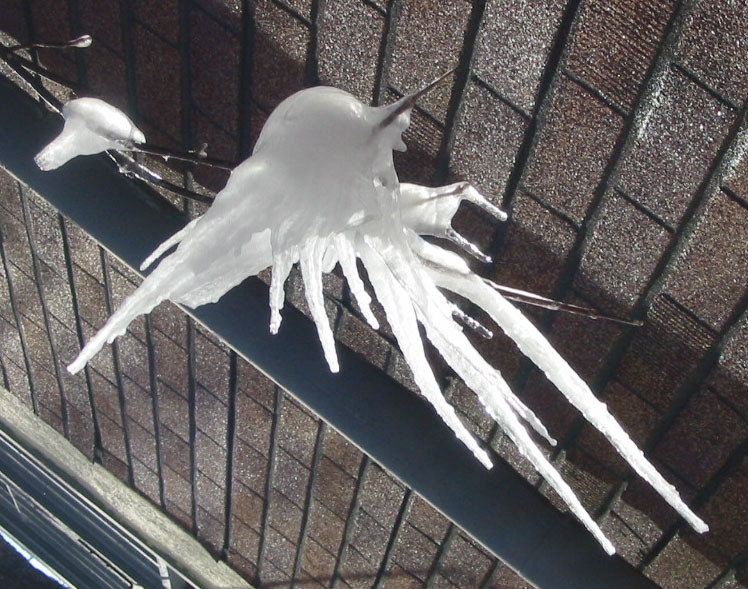 You can clearly see his noodly appendages in the ice. A remarkable sign from above! After I took the pics, I immediately had a nice lunch of pasta, sauce and some lovely garlic toast. Let’s hope the doubters don’t need any more convincing. 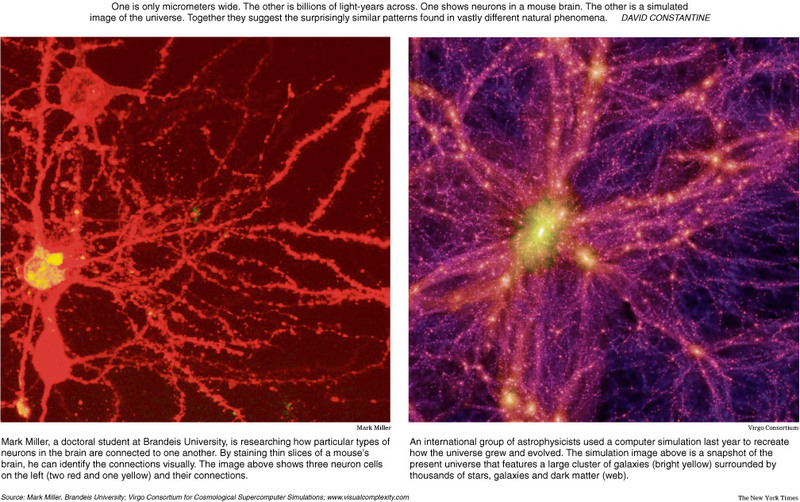 The New York Times has published a graphic which compares the strangely-similar image of mouse neurons, only micrometers wide, to an image of our expanding universe, billions of light years across. There is an obvious noodle-and-meatballs-like pattern to each, suggesting underlying intelligent design, which comes as no surprise to Pastafarians. Link to the NYTimes graphic.